Forte dei Marmi in Tuscany is an affluent seaside town on the Mediterranean and two hours drive from Milan. Forte dei Marmi means Fort of the Marbles and it is named after the main square fortress which was built in 1788 to help defend the town. 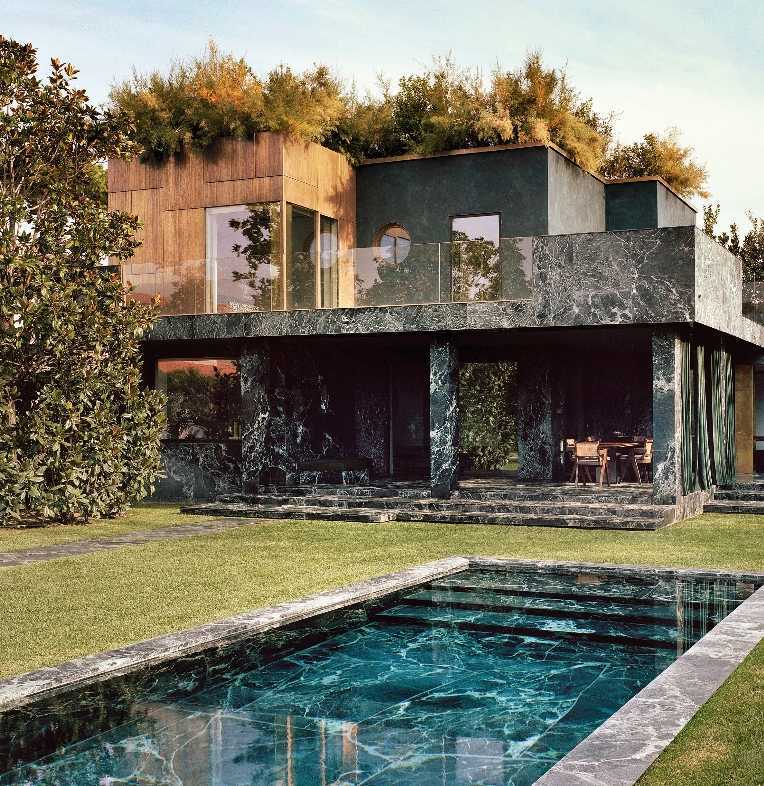 A fourty year old summer villa has been transformed into an architectural statement appropriately reflecting locally sourced Verde Alpi marble. Milan based architect and designer Vincenzo De Cotiis of De Cotiis Architects was responsible for the re-design. He studied architecture at the Milan Politecnico and founded his studio and gallery in 1997.